Yemen’s parliament passed a law banning drone strikes- days after one such attack reportedly hit a wedding motorcade and killed civilians. 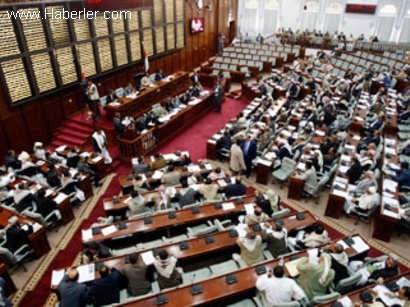 According to media reports, the lawmakers have voted to ban drone strikes in Yemen after a parliamentary meeting. The US military operates all unmanned aircraft flying over Yemen in support of Sana s campaign against Al-Qaeda, and has killed dozens of militants in an intensified campaign this year. On Thursday a drone attack in Rada, in the central province of Bayda, killed 17 people, mostly civilians, in a wedding motorcade, triggering protests in the impoverished Arabian Peninsula country. The Supreme Security Committee, headed by President Abdrabuh Mansur Hadi, issued a statement Friday insisting that the strike had targeted a car belonging to a leader of Al-Qaeda. In the car “were top leaders who plotted several terrorist attacks against the armed forces, police, civilians and vital government installations,” it said. The statement did not give a death toll for the strike, nor refer to any civilian casualties or acknowledge that the attack was launched by a US drone. Security sources and witnesses said two missiles were fired, and that mostly civilians had died. “Even if it turns out that this was a case of killing based on mistaken identity or dodgy intelligence, whoever was responsible needs to own up to the error and come clean about what happened in this incident,” said Philip Luther, Amnesty s Middle East and North Africa director. Relatives of the dead staged protests to denounce the killings and demanded an official apology as well as compensation. Hundreds of people also blocked the road between Rada and Sanaa at Friday s funeral of 13 people but reopened a day later after reaching agreement on compensation with local military authorities. “If the government fails to stop American planes from… bombing the people of Yemen, then it has no rule over us,” tribal chief Ahmad al-Salmani told AFP on Saturday. Two of the dead whose names were released — Saleh al-Tays and Abdullah al-Tays — had figured in the past on Yemeni government lists of wanted Al-Qaeda suspects. But most of those killed were civilians of the Al-Tays and Al-Ameri – which are part of the large and heavily armed Qayfah tribe. Yemen is the ancestral home of Osama bin Laden and the home base of Al-Qaeda in the Arabian Peninsula (AQAP), which the United States views as the global jihadist network s most dangerous franchise.